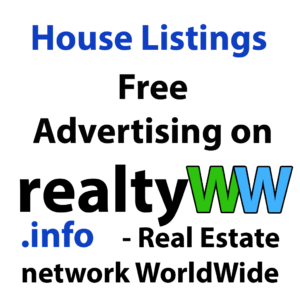 realtyWW is free international real estate advertising website. To post house listings please follow this page In order to sell the house quickly and at a higher price, not to fall for the bait to the fraudsters, you will need to make a competent house listings. In this article, we will not deal with the issues of house preparation before the sale etc., and will talk only about the house listings (assuming you know about the importance of pre-sale preparation of house). The sale starts from attracting potential house buyers, how to do it right? Where to post house listings?